Choose sliding gate operators or swinging gate operators for your home or business with our reliable options. Either system can be tailored to your needs and you can use digital keypads, intercoms, card readers and radio transmitters for convenient, secure access. 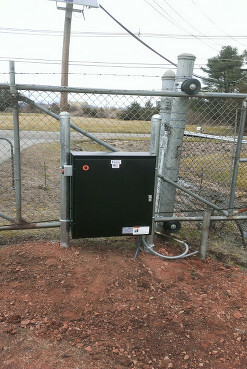 There are slide gate operators that are typically used in commercial gates, and then there are swing gate operators that are usually used in residential applications. It doesn't matter what system you choose, our trained professionals will be able to tailor it to your exact needs. Why wait? Get started today and call now For a free estimate!